Conspicuous at times and camouflaged on other occasions, wall clocks are both an interior style statement and a vital household necessity. New trends in clock design has seen a rekindled interest in timepieces being an object able to provide a room with a defined style; offering a range of intriguing background colors and motifs, unique shapes and sizes and stunningly beautiful materials to choose from. 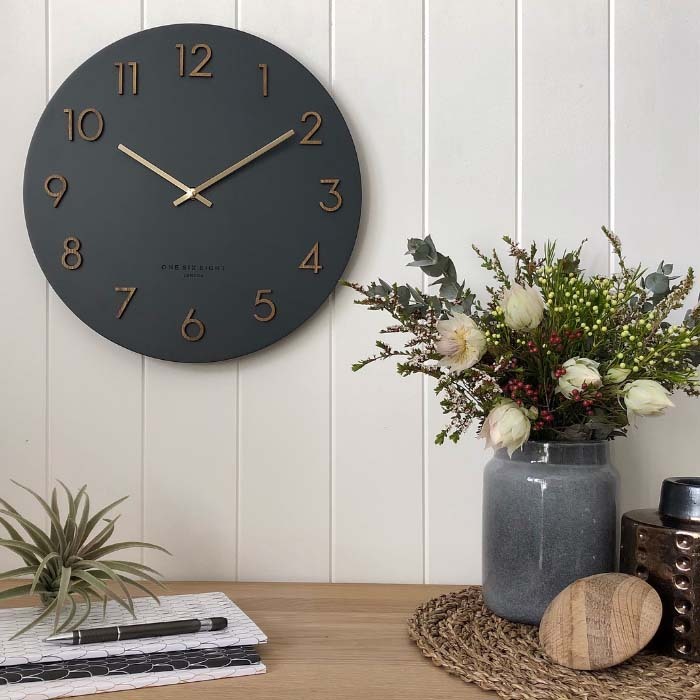 The definition of an ideal wall clock varies for different interior aesthetics, but finding a perfect match that accentuates the overall appeal and flair of your home can be quite exhilarating. To get started, we recommend checking out some online stores like Purely Wall Clocks so that you’re aware of what’s possible. 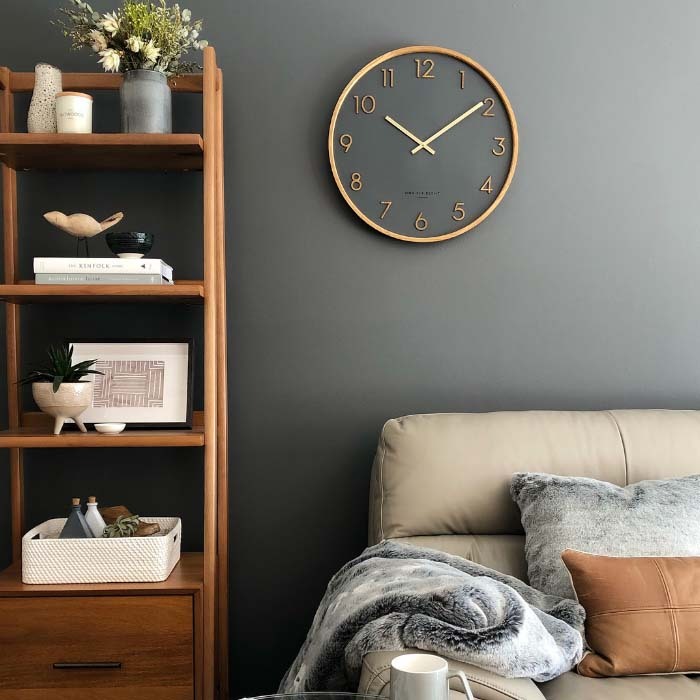 To help you get your selection right, we have a few tips below on ways to use a simple wall clock to transform your interior space completely. Rather than a mere functional feature, the clock has become an intriguing design element wherever it is placed. A perfect timepiece can effortlessly add to the rooms’ sense of style, and become far more engaging than any other piece of décor or furnishing. Whether vintage and ornate or modern and sleek, it should appear to be a natural extension of its surroundings or enhance the chosen theme. For instance, a minimalist entrance hall can sport a wall clock with a distinct classic mid-century feel about it. Instead of looking out of place, it drives away a sense of inertness and lends a dynamic and trendy break from monotony. 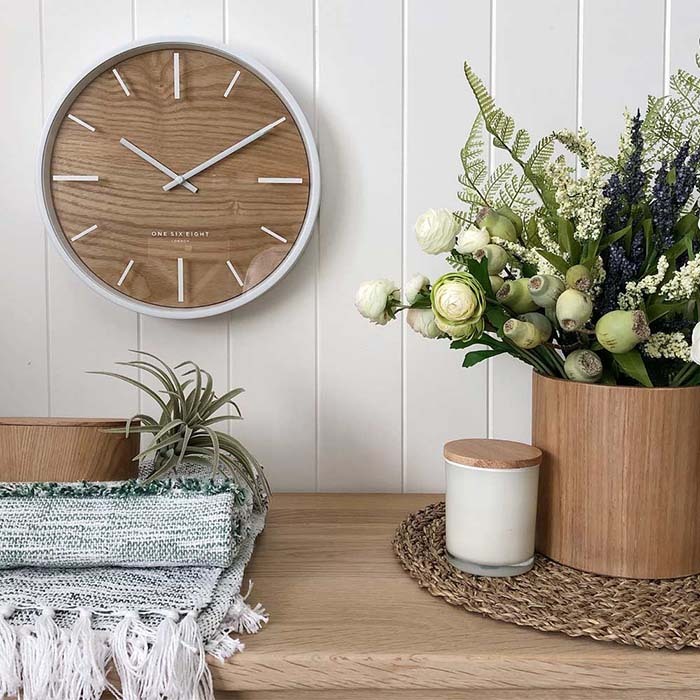 The same clock will appear to be a natural extension to a traditional or vintage interior décor scheme, and create a feeling of continuity and flow. With a range of designs that double up as art pieces and fit in with just about any design vernacular, finding one to suit your home interior is not all that difficult. Much like contemporary art and decorative lighting, today’s clock designs are real attention-getters. With a myriad of creative designs; from various color tones to oversized shapes and sizes — and styles ranging from classical to modern and quirky; wall clocks can seamlessly provide a distinctive focal point. A vintage or antique wall clock, for example, when rightfully positioned, can elevate the status of a room due to its fine craftsmanship and hand-detailed design. Whether it’s a cosy living space for everyday family gathering or a lounge meant for relaxation and unwinding, to make your timepiece a centerpiece, pick a prominent spot that frequently catches your eye and place it there. A stunning wall clock doesn’t always have to steal the show. If you have an existing focal point in a room, a timepiece can be used to emphasis its presence. It can seamlessly merge with an artwork, a fireplace or something else equally as exciting that sets the mood and tone of a space — and act as the perfect adornment to accompany the focal point and put the spotlight on it without being too “punchy”. Opt for a unique piece that adds intrigue and provides balance to the rooms’ focal that’s at half of its potential. Want to draw attention with a splash of color? Clocks are the perfect décor accessories to introduce a pop of color to your interior scheme, or tie a room together. In a neutral setting, the room can be punctuated with a vibrant and bold timepiece — at the same time bringing some personality and creating a conversation point. Similarly, if you have a brightly colored design scheme, a clock in a muted shade might just be an ideal pick — in this way, it does not overwhelm the room nor detract from other décor accents. 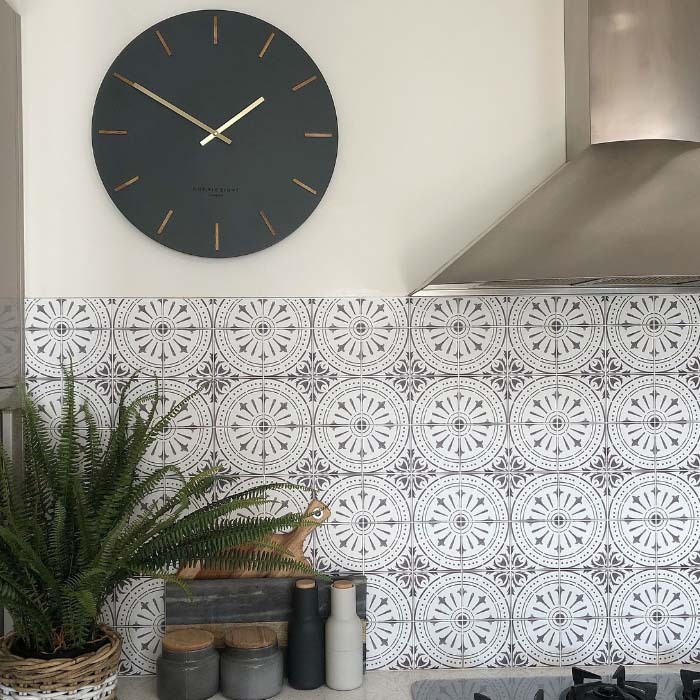 It’s easier to overlook the possibilities a wall clock can bring to a room, but their versatility and range of styles enables them to cater for different needs. The ideal clock varies for each personal taste and each individual setting. Some clocks can be personalized to make them a truly special addition to your home interior décor. Others are designed in ways that suit certain spaces; for instance, a home office or bedroom can benefit from a completely silent wall clock that typically avoids the “tick” or other types of sounds that can easily become distracting or even annoying in a short amount of time. Find a clock that ticks all the boxes: style statement, splash of color, conversation starter, fabulous material… check!